Addressing these questions is what sets the successful blogger apart. She’s done her homework and understands who her audience is and what they want to learn about. She’s researched the niche and identified the specific topics and questions that need to be covered in blog articles, and she has mapped out a publishing calendar for herself. And while I’ve delivered hits more often than misses, those misses still bug me. I think about the articles I spent time drafting, polishing and publishing, yet which received no attention, and wonder what I might have accomplished had I used that time differently. Had I written about something else entirely. As it just so happens, there are three new tools that have just come out that strive to help bloggers like me and you avoid those kinds of issues. These tools can help us be more like that successful blogger who has her stuff together. 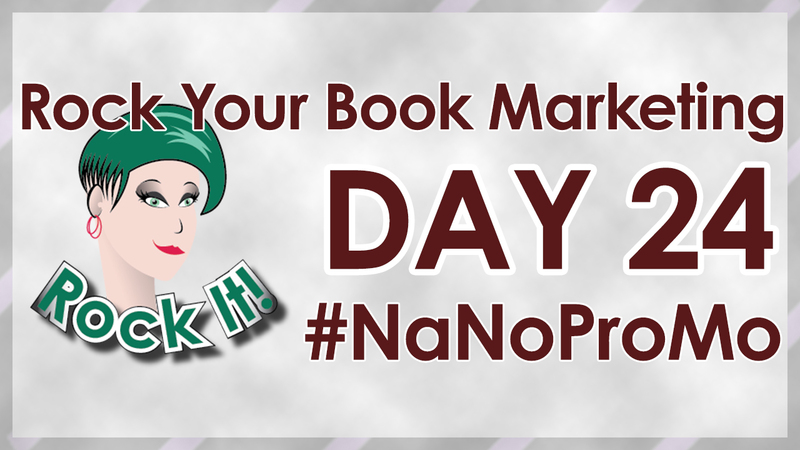 #NaNoProMo Day 24: 3 Innovative New Tools to Discover Promising Blog Topics by @mike_allton - and be sure to comment to win Mike's awesome giveaways! DISCLOSURE: Many of the links in the article above, and throughout this site, are affiliate links. While there’s no additional cost to you, any purchases made via those links may earn me a commission. Rest assured, only products and services which have been rigorously tried and tested are reviewed, and those reviews are always thorough and honest. If you benefited from my review and have a genuine interest in the linked product, your use of the affiliate link is appreciated and allows me to continue writing these kinds of helpful articles. Current examples include Agorapulse, Tailwind, Wishpond or SEMrush. Please also note that I am employed by SiteSell as their Chief Marketing Officer and am fully authorized to share product and company information from extensive personal experience. Article reposted with permission from The Social Media Hat (original article). Mike is giving away a 2018 Blogging Planner, and one copy of each book, How to Start a Blog and How to Promote Your Blog. …is a Content Marketing Practitioner – a title he invented to represent his holistic approach to content marketing that leverages blogging, social media, email marketing and SEO to drive traffic, generate leads, and convert those leads into sales. He is an award-winning Blogger, Speaker, and Author at The Social Media Hat, and Brand Evangelist at Agorapulse (formerly CMO at SiteSell). Rachel and Mike, thanks for a substantive article that I’m going to reread. It seems to me that these techniques might be more beneficial to people writing nonfiction, especially in the marketing arena. However, I realize no writer today can afford to ignore tools like the ones mentioned in the article. I appreciate having a detailed description of each to help in making a choice. The tools do sound amazing, but wow! Out of the price range of the solitary blogger. I can dream though. Thanks for the great feedback, Felicia. There are so many wonderful tools available that can be quite spendy — there are also so many that are super affordable. Take a look at Mike’s blog — he offers a ton of great advice. In fact, his blogging guide (offered as a free giveaway here today) is only $10 and on his blog, he goes into detail what it’s all about. He also discusses tons of free tools as well. Yesterday’s post by CoSchedule was also incredibly helpful (you can still comment to win their book). They offer 200+ FREE resources to help with blogging and marketing. The free and inexpensive yet effective tools ARE out there! I’m definitely going back over this again. Wow, what great info! Love your giveaway – yes, please! Lots of great info here, definitely Lisa. Even without buying these tools, it’s great to know what’s available and what the possibilities are. Mike is such a wealth of info, too. I learn so much from him. Thank you for this article. I have resisted using content generating tools like these in the past because I wanted to just write what I wanted whenever I wanted. I need a more focused approach than that now. I’ve got these tools bookmarked and ready to try. This was fascinating to read! Generally I love writing blog posts, but there are weeks when I feel as though I don’t have anything new or interesting to say. This would definitely help fill in those gaps!